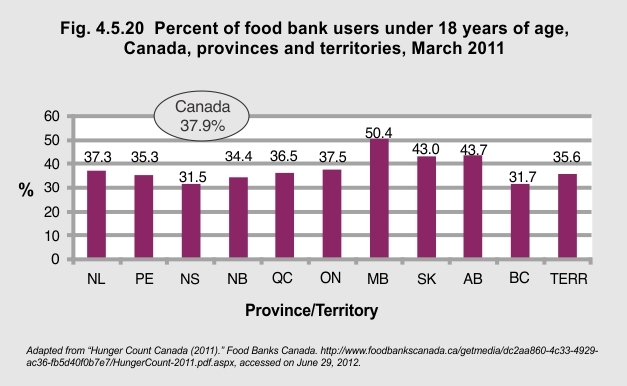 More than a third (38%) of people receiving assistance from food banks in Canada are children and youth under age 18. That means that 851,014 children and youth received assistance. That proportion was lowest in British Colombia (31.7%) and Nova Scotia (31.5%) and highest in Manitoba (50.4%).